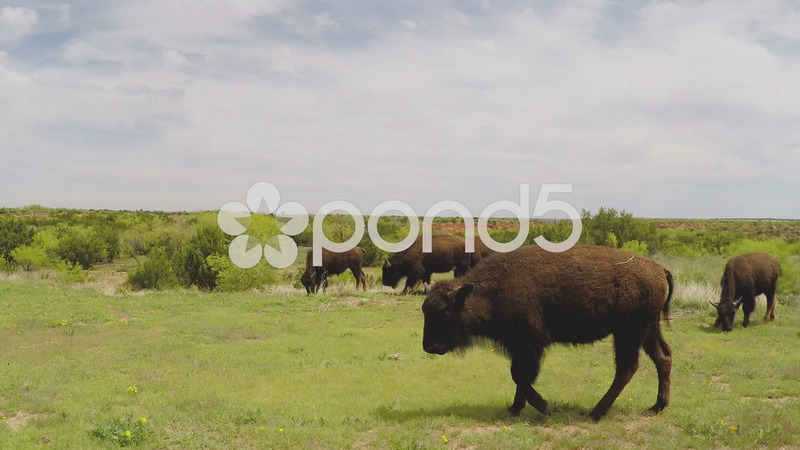 Description: Shot of a herd of young buffalo on a verdant prairie in Caprock Canyon. The pack of bison stop to take a few bites of grass and walk a few steps while chewing on the green grass. Part of a series of clips by ChromaVid featuring nature and wildlife stock video.